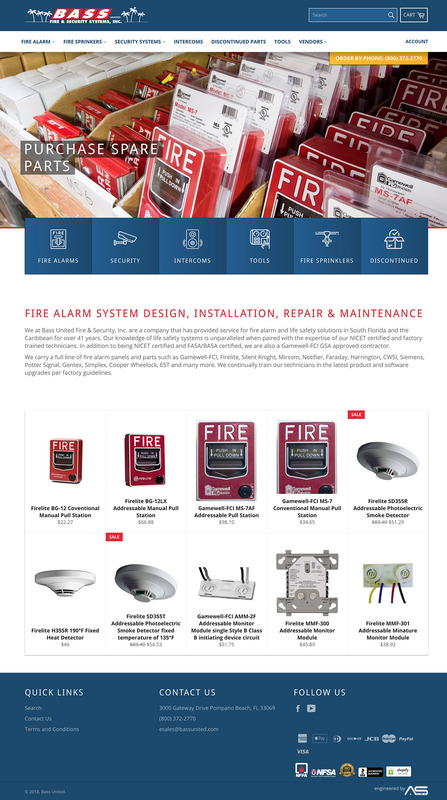 A Prestashop-to-Shopify migration build for a fire alarm company located in Pompano Beach. 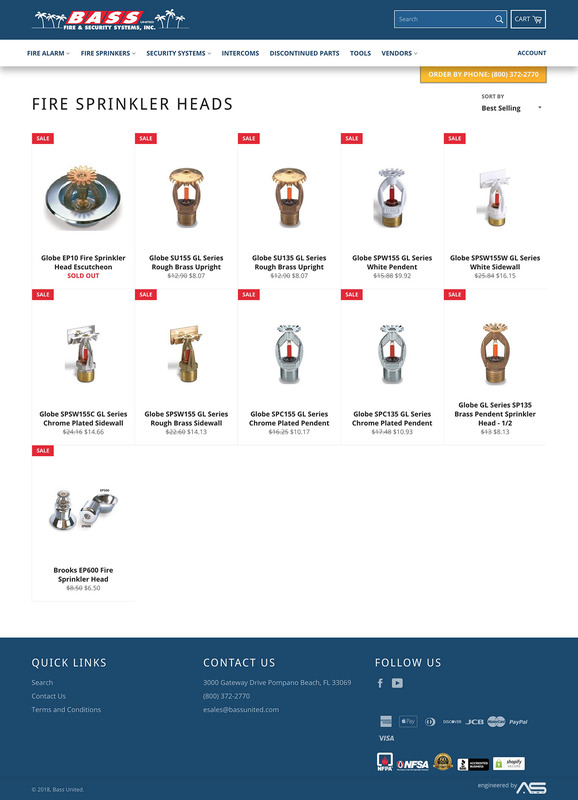 An e-Commerce build in which I helped migrate a shop from Prestashop over to the Shopify platform. 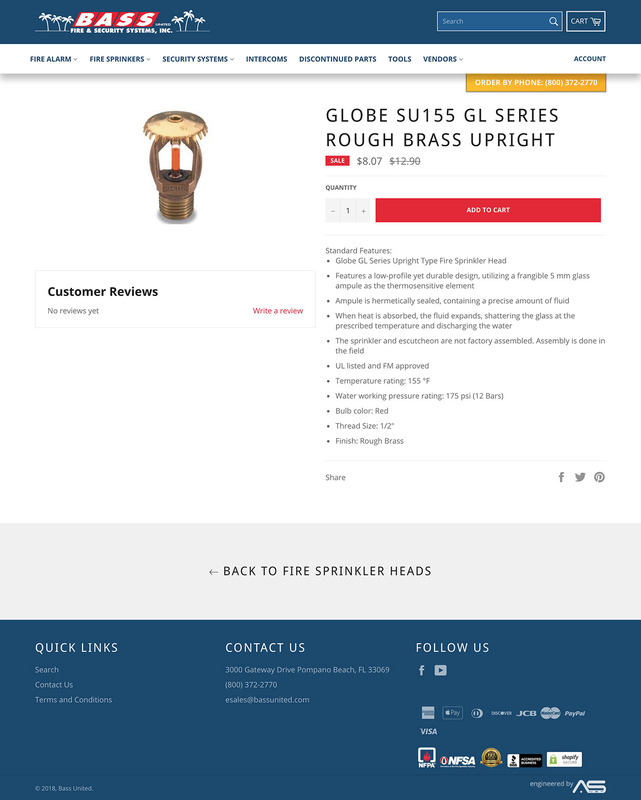 The site was redesigned, and the product hierarchy was completely changed. I also implemented Algolia instant search to allow customers to find products easier and more reliably. I wore every hat that was necessary during the development of this project. My responsibilities on this project included design, custom Shopify development, product importing, and implementing 301's to maintain the site's search ranking.